Rev up the comfort, protection and color-coordinated style of your Polaris® RZR® XP 1000 with this Orange RZR® Low- Pro Bundle. The bundle includes, Aluminum Roof, Front Bumper, Rear Bumper and Rock Sliders. 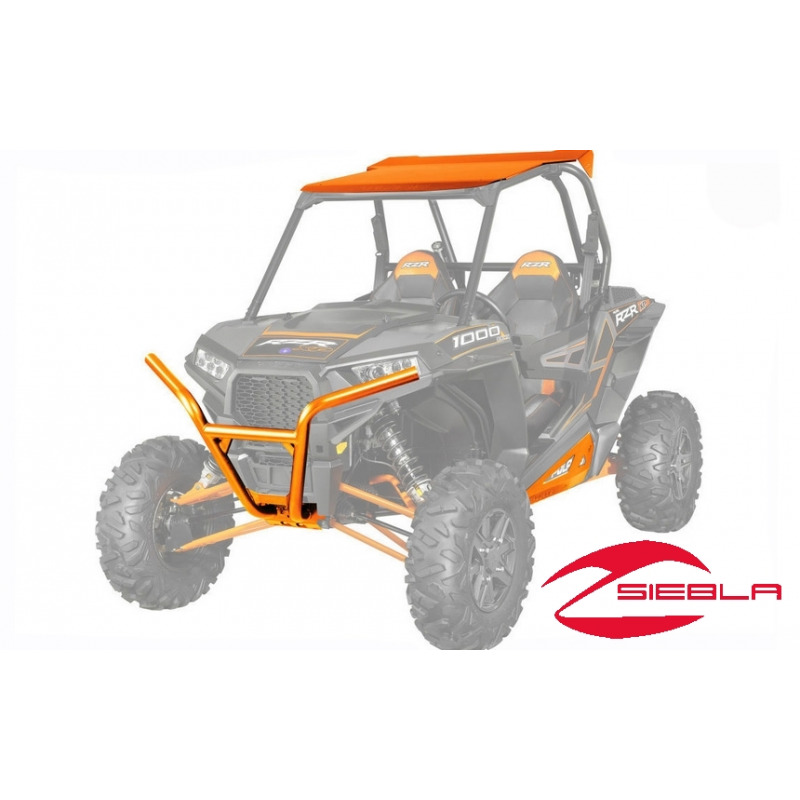 Rev up the comfort, protection and color-coordinated style of your Polaris® RZR® XP 1000 with this Orange RZR® Low- Pro Bundle. The bundle includes, Aluminum Roof, Front Bumper, Rear Bumper and Rock Sliders. It installs quickly and easily and provides shade and outstanding overhead protection. . The RZR® bumper features strong, durable, 1 ¾” thick tube steel construction and it has a durable orange finish that coordinates with your vehicle’s custom treatment. 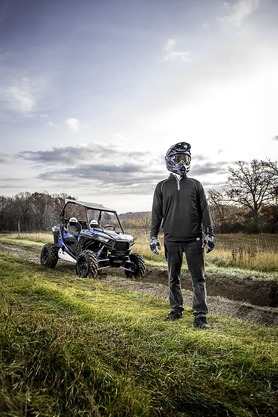 It features strong and durable 5051 aluminum construction and it blocks off-road obstacles as well as rain and sleet to enhance your RZR® riding experience. 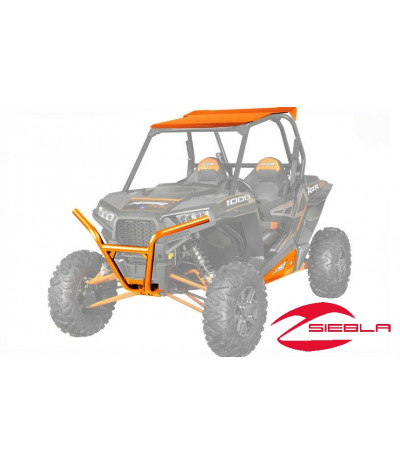 This RZR® roof has a premium orange powder coat finish and the front edge of the roof serves as an integrated sun visor for enhanced comfort and visibility. The underside of the roof features designated mounting locations for LED headlights and a taillight kit, and the underside is indented, which is ideal for dune riders. This Aluminum Roof can be used with a wide variety of Polaris® RZR® accessories, including windshields, rear panels, door options, audio systems, mirrors, lights and more (each sold separately). Includes: Aluminum Roof and mounting hardware (2879443-589) Low Profile Front Bumper (2879449-589) Low Profile Rear Bumper (2879498-589) Low Profile Rock Sliders (2879498-589).